Palazzo Barberini was built by Gian Lorenzo Bernini with the assistance of Francesco Borromini. Filippo Juvarra attributes to the latter the coat of arms of Pope Urban VIII on the southern façade. 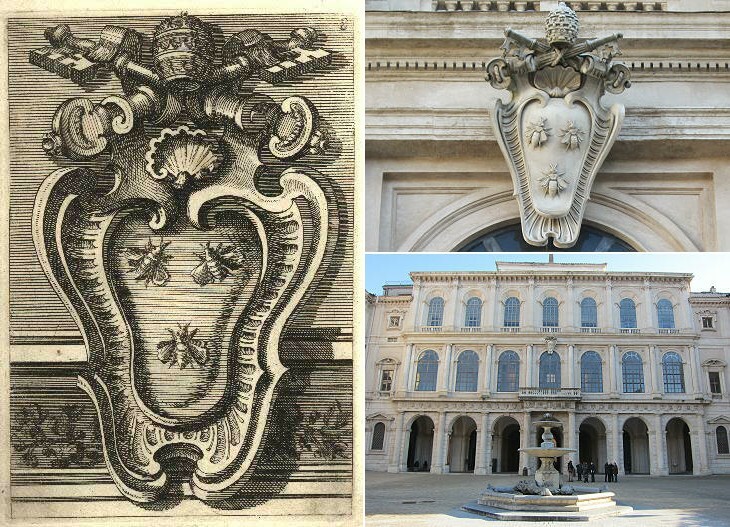 Actually the shell appears also on a window which is certainly by Borromini.